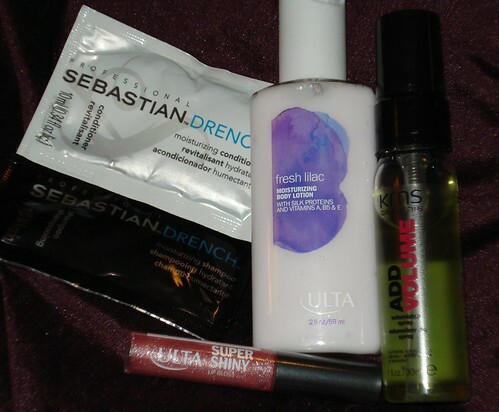 Legally Strawberry Blonde: Sephora & Ulta Haul! In the past 10 days I've gone to a Sephora grand opening and an Ulta grand opening! Whaaat?! Sephora opened up at my local mall, and like I mentioned before, I took the day off and it was fun! Then, this past weekend I went up to NY/NJ to visit my family and an Ulta was opening! And I've never been to an Ulta! It was quite exciting, for their opening they gave goodie bags and gift cards valued from $5 - $100 and I scored a $20 one! Yay! As always, let me know in the comments if there is anything you want to see a review of! First haul, Sephora! 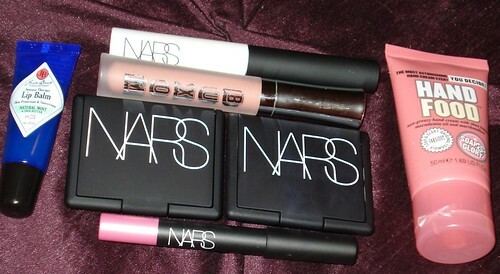 I went a little NARS crazy! Ha! One product I have been really wanting to see in person was NARS' "Albatross" a gorgeous highlighter that looks like plain white powder online. But this is going to be one of my favorites! 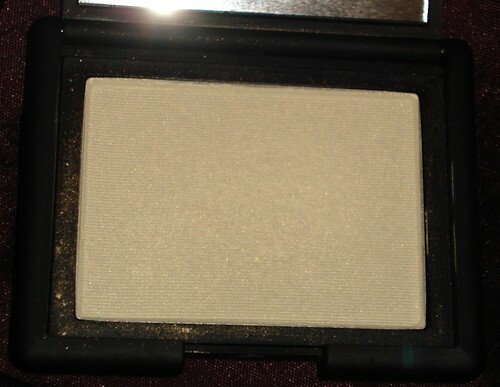 Gorgeous, gorgeous highlighter with an amazing gold sheen that gives you that candle-light glow! 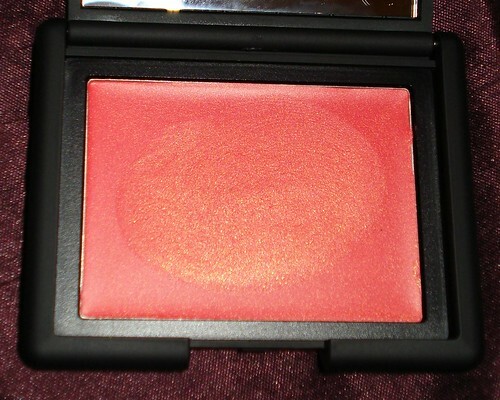 I was on the hunt for a new summery blush and NARS' "Cactus Flower" was totally it! Its a smooth cream formula and beautiful deep rosey-coral color with gold sheen! Hopefully it will work with my oily skin. 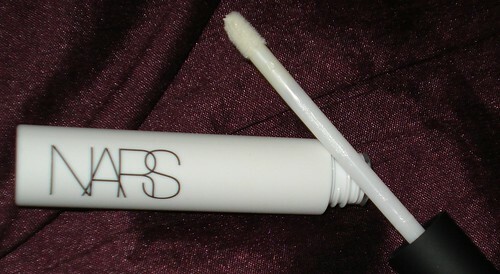 I'm running low on my UDPP, and I have heard that NARS' primer is supposed to be like BAM! So we shall see! Last NARS product is their velvet-matte lip pencil in "Roman Holiday", its a gorgeous vibrant pink! I haven't tried it so I hope matte doesn't equate to being dry! Forgot to take an individual photo of this Buxom Cream Gloss (new formula!) in "White Russian". I love Buxom glosses so I'm eager to try this new formula in a pretty peach shade! 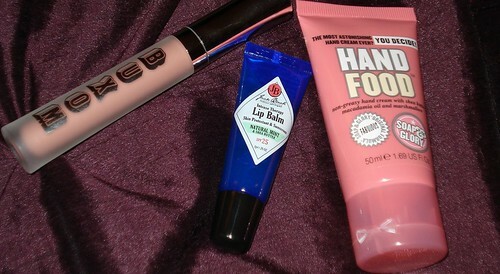 Also photographed are Soap & Glory's "Hand Food", which is an amazeballz, non-greasy, hand lotion that smells great! And Jack Black lip balm in "Natural Mint", I actually got 2. One to keep by my bed and one for the purse; they're SOOO moisturizing and nice! And now for the swatches! 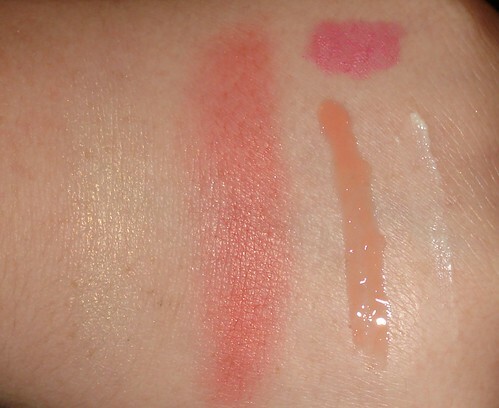 Left to Right: "Albatross", "Cactus Flower", "White Russian", NARS Primer and the little pink cloud is "Roman Holiday". And now onto Ulta! It was super quiet at Ulta! Fun fact: the Ulta I went to couldn't sell anything mechanical on Sundays (the day I went) because of Jersey Blue Laws! So no one could buy blow dryers, straighteners, etc. Now you know! I've been looking for a new powder, since I hit pan on all of mine! So I did a little research on Ulta's site and this powder got the best reviews. Its the Pur Minerals 4-1. 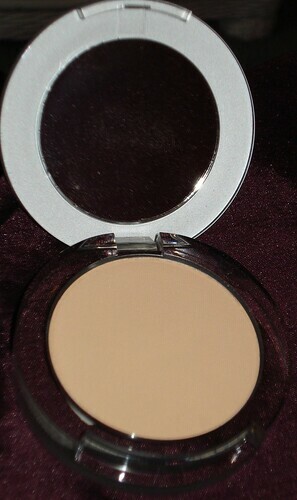 Its not only a powder but foundation, concealer and SPF. Looks promising! I got the color "Porcelain". Had to try some NYX products! Exciting! I picked up their HD Photogenic concealer in "Fair" and their Eyebrow Shaper which is a wax brow pencil. Hoping the concealer will help with my dark circles! And the wax pencil is nice and light! 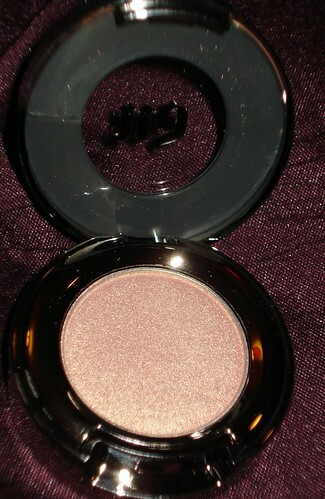 Picked up a newly formulated Urban Decay shadow in "X" which is a beautiful peach with golden sheen! Note a theme and obsession with golden sheen? It just makes my skin look not so pasty but healthy! Anywhozie, excited to try this new formula! Last thing from Ulta is an OPI polish in "Red Lights Ahead....Where?!" I have been looking for this polish since it came out! But there is no OPI retailer in my area! Totally love the names of the Holland Collection since I've been to the Netherlands and I'm a 25% Dutch! Gorgeous deep coral color! And now the swatches! 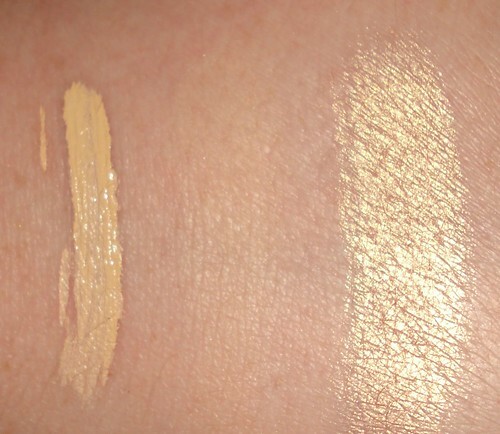 NYX concealer on left, then Pur powder and finally UD "X"! This was my little goodie bag! I will say the Ulta gloss smells like cheap wine, haha. Phew! Thanks for sticking around for this long post! Sorry some of these photos are out of focus! Didn't realize til I was editing! Hope you are having a great week! Ever been to a grand opening?! 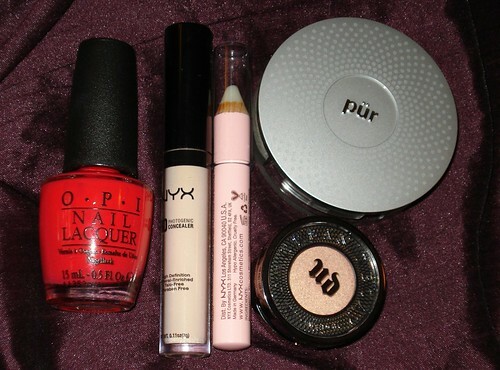 May 2012 Birchbox! Gossip Girl!